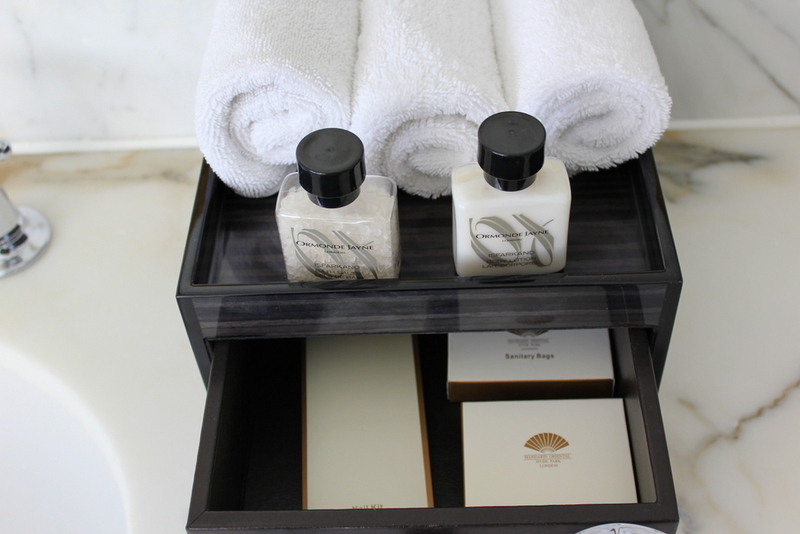 Earlier this year , I stayed at a sister property of the Mandarin Oriental, The Landmark Mandarin Oriental in Hong Kong, and I checked out of the hotel so smitten, wanting to experience another Mandarin Oriental hotel. This ‘hotel bucket list’ was completed on my recent trip to London. 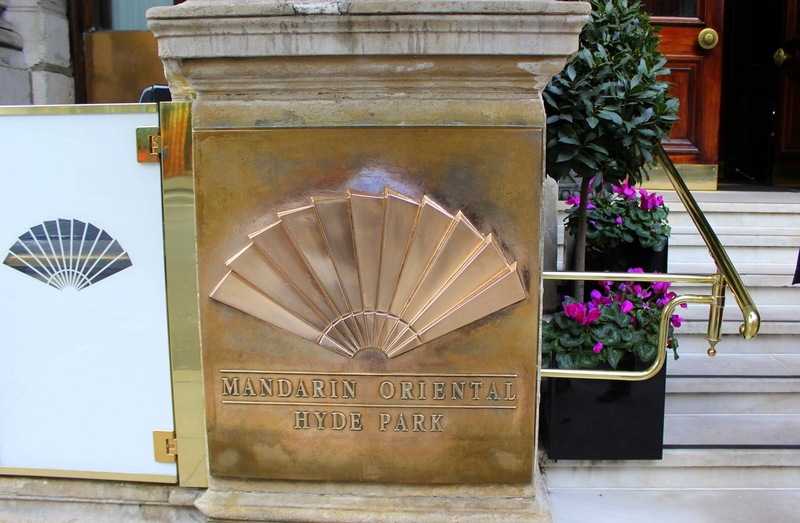 The Mandarin Oriental Hyde Park in London is one of the timeless bases you can have when visiting the British capital. As the name itself says, Hyde Park is just behind the hotel. 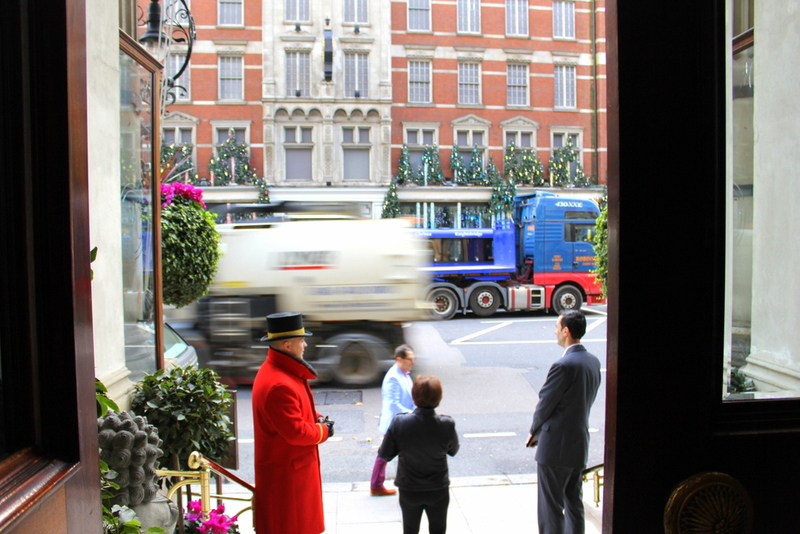 And just in front of the hotel is Knightsbridge. 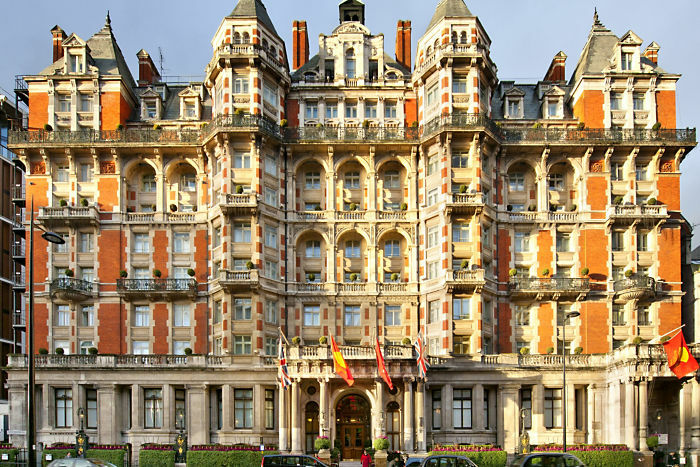 Knightsbridge station is a minute’s walk away from the hotel. Harvey Nichols is just in front, with Harrods, Sloane St and Royal Albert Hall within walking distance. Our cab hadn’t even fully stopped at the hotel facade and the dashing doormen in bright red coats are already approaching, their faces eager to welcome us. And welcome us they did, not only carrying our luggage but also ushering us to reception for check-in. Overall service was very warm and welcoming, someone always asking how my day was and if I needed help with my itinerary for the day. The enthusiasm in the service never faded even on check-out. It was November when I visited London so the weather was chilly. Once I entered the hotel, I felt a warm embrace engulf me. It was great to be cocooned from the cold weather outside. And though the entryway was rather dark, a friendly figure greeted me on the left. 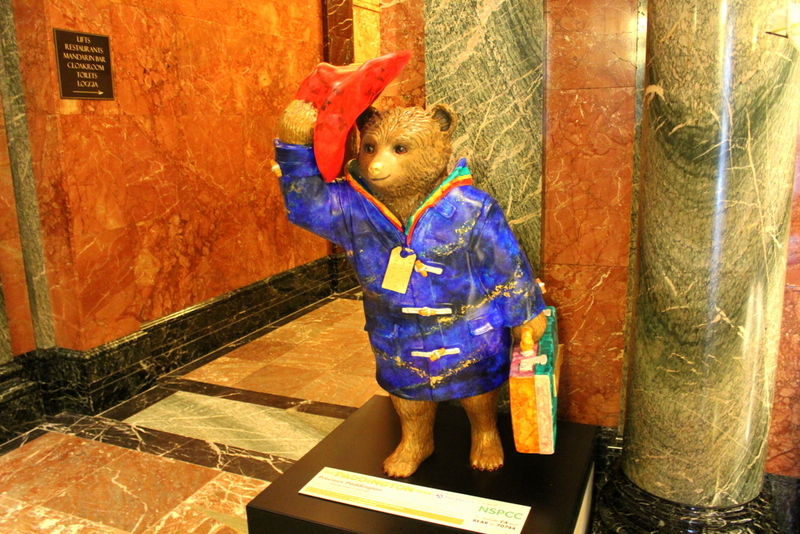 It’s good old Paddington bear, one of the 50 Paddington Beats around London , part of Visit London’s The Paddington Trail campaign. 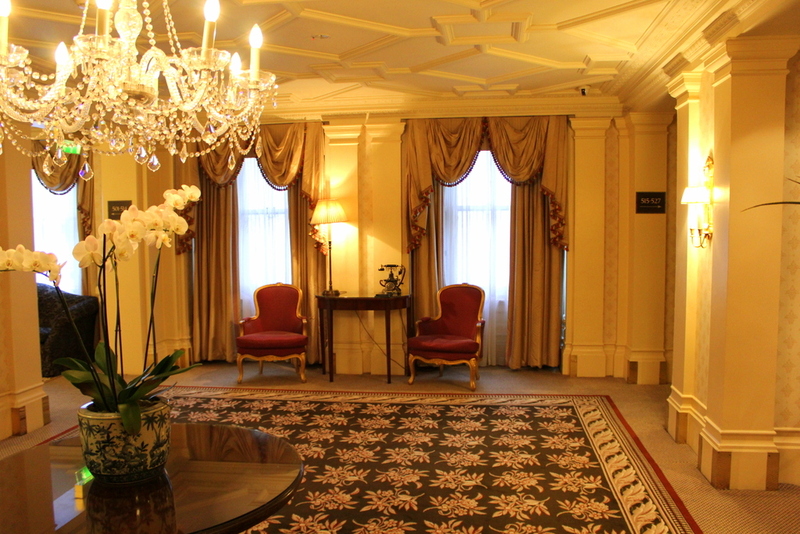 There is no proper ‘front lobby’ to speak, the check-in desks are discreetly located around the corner. 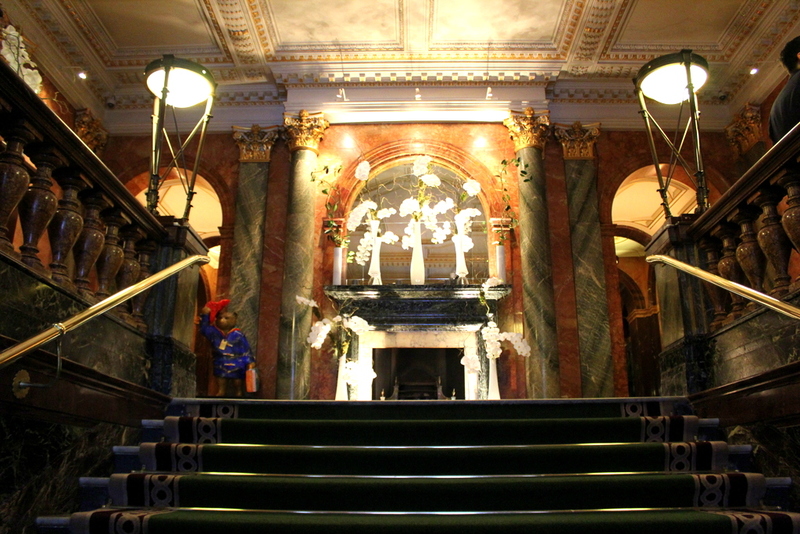 The hallways are quite ornate with chandeliers and heavy curtains. I noticed that the hallways reeked of smoke/ cigar smell (we must have been in a smoking leve- 5th floorl), but once we entered the room, it was like being in a different world and atmosphere. Lots of natural light in the room, which I really enjoyed. The flatscreen tv was from Bang & Olufsen, which has the cool feature of the screen reverting back to its original angle when you switch the tv off. There’s a generous sized working desk, and even more generous and impressive is the size of their wardrobe – spanning an entire wall (seen on video). 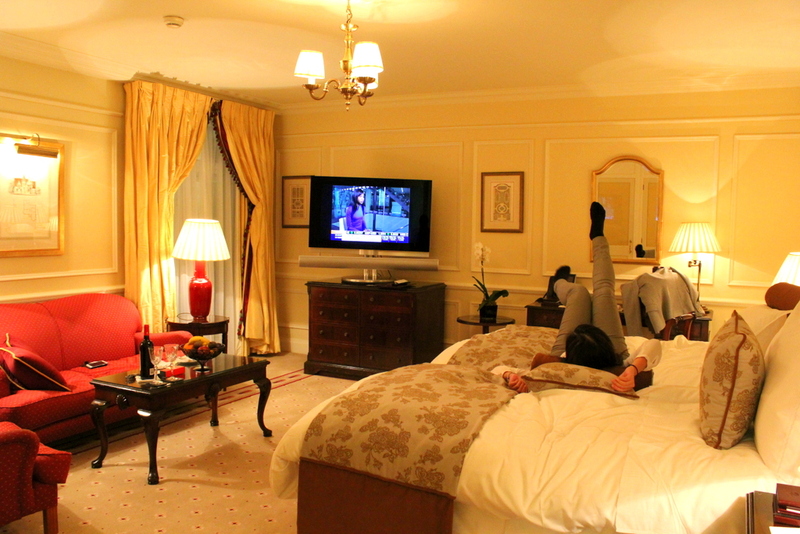 The beds were really comfortable and proved very useful at the end of a busy day where I’d just flop down and watch tv. Wi-Fi was complimentary and I did enjoy the welcome box of chocolates. A hotel bathroom can never go wrong with white and grey marbling. 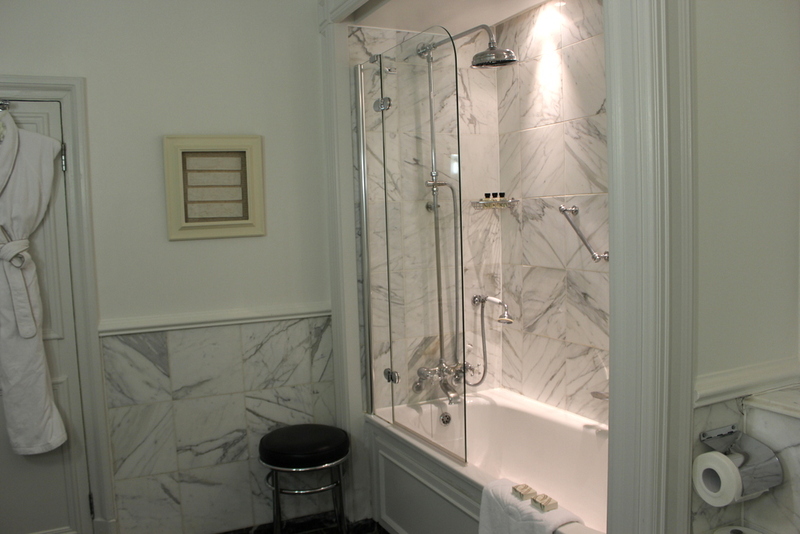 The fixtures had a very vintage style and finish. 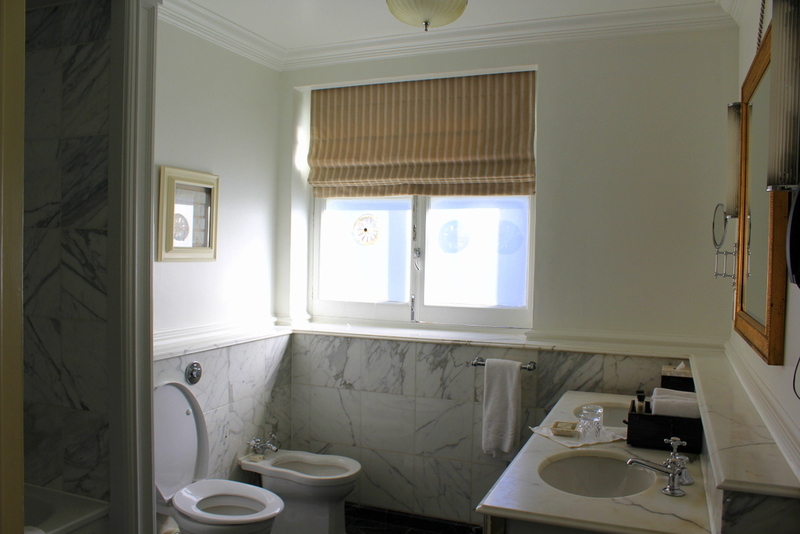 I liked the huge windows in the bathroom and gives the room great natural light. There’s also a mini plastic vent in the window and it was good to get a little bit of air. Even during autumn/fall, it can get quite hot with the direct sunlight. 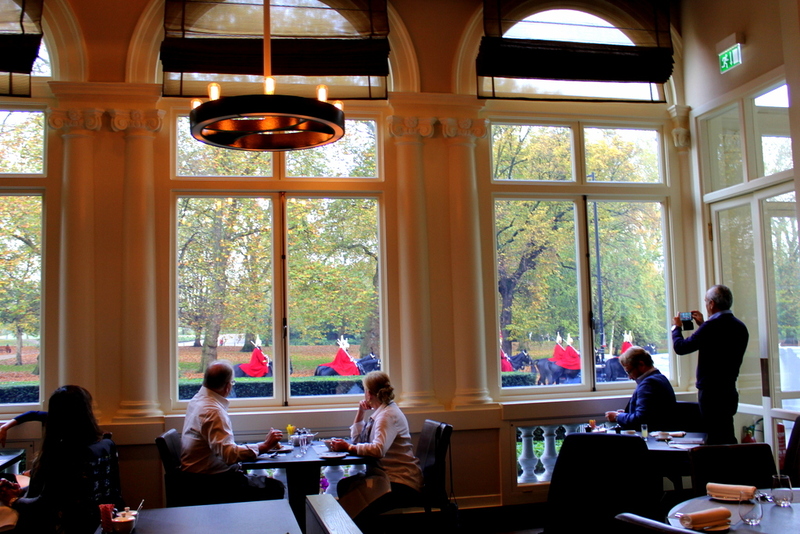 Breakfast at the Mandarin Oriental overlooks Hyde Park. During summer and warmer months, breakfast can be served outside in the garden too, which I’ve no doubt can be very pleasant. A fair selection of cereal and continental breakfast. Lots of bread choices and you can also order ala carte. Towards the end of our breakfast, we saw a horse parade go by. 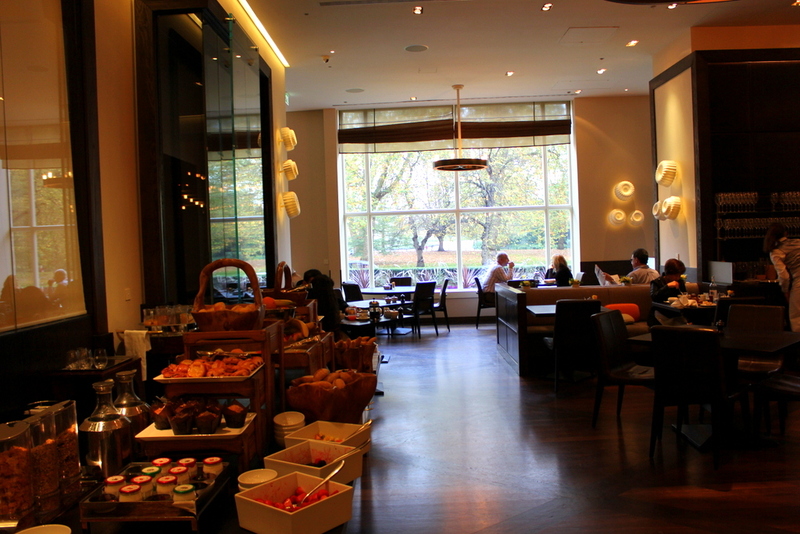 It’s worth mentioning by the way that breakfast is held at the same restaurant venue as Dinner by Heston Blumenthal. 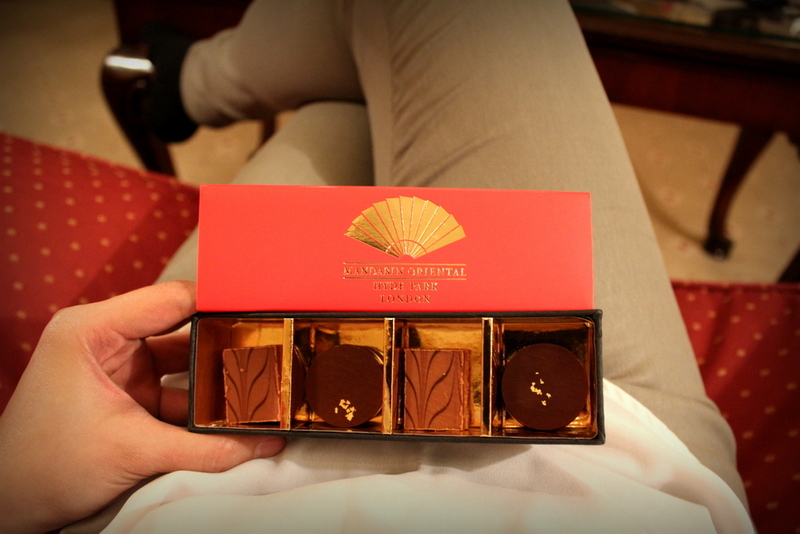 Just like my first Mandarin Oriental experience earlier this year, I was very pleased with my overall experience. 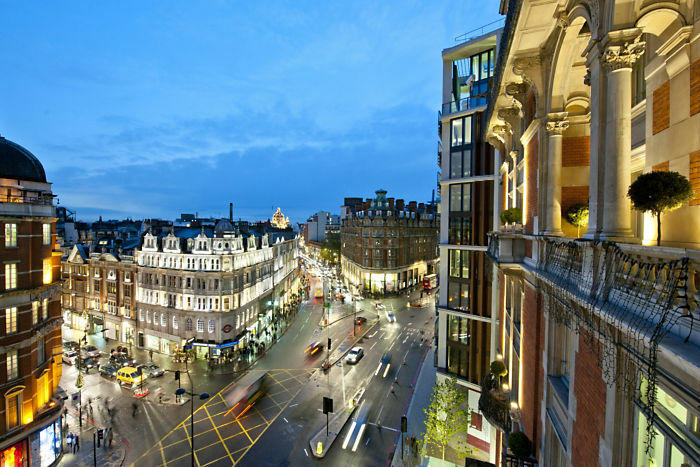 The location and proximity to Harrods, Knightsbridge station and shopping are all a plus. I was able to leave my mom gallivanting on her own through the day (it was her first time in London) and she definitely enjoyed it. On the service side, the food and beverage team at breakfast were really attentive despite the busy mornings, and the gentlemen in red coats who are quite the frontline of Mandarin Oriental really made the experience much more pleasant due to their friendliness and warm demeanor. Tip: I do recommend this hotel and will stay here again, just be sure to request to be booked in a non-smoking level. We were  guests of Mandarin Oriental Hyde Park but this has not influenced my views. ALL thoughts and opinions of this review are mine. Smoking rooms are my number one frustration. They really need to tell you that before you go up to your room. I just can’t stay on smoking floors-even if the room itself hasn’t had a smoker, I can smell it. I stayed at the Crowne in Melbourne for a night and it was a busy period , I mistakenly agreed (I was informed it was the only room available) to a smoking room. 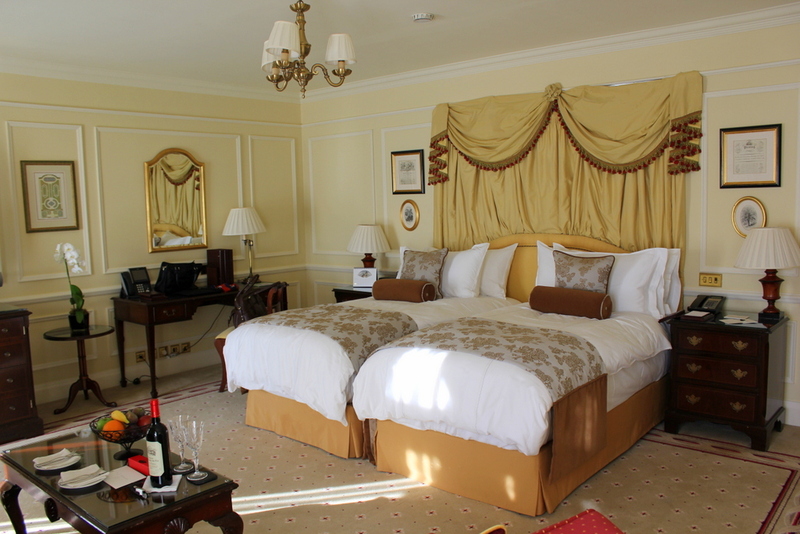 Amazing Room yes but had one of the worst sleeps. 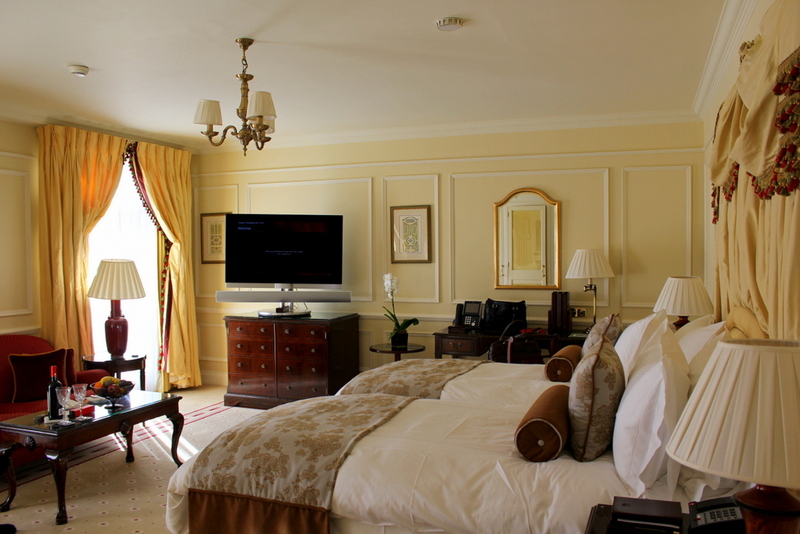 With the Mandarin Oriental in Hyde Park, it was really strange that the room was totally void of smoke smell I don’t know how they did it. Hi Monique! I hope they put you on a non-smoking level to be sure you do not get whiffs of smoke. Yes next time you visit your sister it would be a good idea for a weekend away 🙂 Hope you also enjoyed the holidays and a very happy 2015 to you!